A local resident of the area, Director of PM Realty, Szilvia is an energetic and highly motivated individual who is committed to achieving outstanding results every time. A real natural based in PM Realty Mascot, she combines her love of the Eastern suburbs with an enthusiastic yet measured approach to provide an exceptional level of service to clients. Szilvia was drawn to real estate because of the opportunities it presents to meet and form relationships with people from all walks of life. 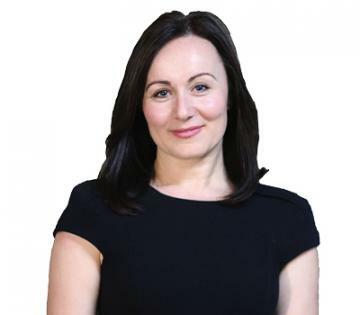 Having worked with a number of businesses who specialise in Finance, Szilvia made the decision to focus her interest in the real estate industry, where she believes a successfully built Portfolio Management best presents the opportunity to expand, develop and ultimately grow her business. Szilvia is proud to lead this young boutique agency, her friendly personality coupled with her efficiency and superb attention to detail make her a standout. She thrives on being able to create an efficient team of staff driven by results where clients receive the best possible service. PM Realty is proudly offering this light filled garden apartment peacefully positioned at the rear of this security building. With its own private entrance, this apartment is only a short stroll to Eastlakes Shopping Centre, Public Transport direct to CBD, parks and local schools and a short drive to Mascot train station, and the University of NSW. $540 per week- APPLICATION TAKEN! PM Realty is proudly offering this near new, immaculately presented, large 3 bedroom family home. Situated on the 1st level with ample storage in all bedrooms and hallway. Nestled in a quiet neighborhood within minutes to Eastlakes shops and public transport. 3 Bed 2 Bath 1 Parking. Open plan living and dining area. 3 good sized bedrooms, with built-in wardrobes. Well-presented bathrooms with bath tub and separate ensuite. Kitchen with stone benchtop. Single beds and desks in all 3 rooms. Convenience & Location! - One Week Free Rent! PM Realty is proudly offering this unbeatably convenient light filled apartment. Positioned on the ground floor of a perfectly maintained security building with secure access via entry intercom. Close to schools and parks, only a short stroll to shops and cafes with buses into the city at the door. PM Realty is proudly offering this top floor, north facing apartment offering an ideal location in the heart of Kingsford minutes from UNSW, shops, cafes, transport, restaurants and all other amenities. PM Realty is proudly offering this furnished spacious apartment in a security building situated in a great location. Only minutes' walk to UNSW, shops, cafes, restaurants and public transport which leads straight into the Sydney CBD or Eastern Beaches. Resort Style Living in the Heart of Maroubra - ONE WEEK FREE RENT! PM Realty is proudly offering this sun-filled two-bedroom apartment in the heart of Maroubra Junction. Set in the Newington Towers, this apartment features resort style facilities and is just footsteps to Pacific Square’s Shopping Centre and eateries, and only moments to public transport, Sydney CBD, UNSW, Maroubra Beach, Randwick Hospital and Westfield Shopping Centre. PM Realty is proudly offering this spacious north facing 1 bedroom plus study/2nd bedroom apartment positioned on Level 5. With all the modern needs at your doorstep, residents can chill out and relish the delights of one of Sydney's most sensational and developing suburbs, with abundant profile of trendy shops and quick City connections. Featuring a house-like sense of size, privacy and exclusivity, this unique two-story residence offers a generously proportioned home that is big on space and filled with modern appointments. Fresh and modern, this stylishly presented apartment provides a low care designer lifestyle or smart investment prospect with flowing proportions throughout. 2 Bed 2 Bath 2 Parking. Generous open plan living and dining leading to entertainer’s balcony. Air-conditioning, internal laundry with dryer. FULLY FURNISHED 2 BEDROOM EXECUTIVE LIVING! PM Realty is proudly offering this spacious two-bedroom apartment with brand new quality furnishings. Within close proximity to the CBD, beaches, metres to Mascot Station, trendy cafe's & restaurants. A short stroll to mascot oval and just moments to Mascot shops you can enjoy the wonderful lifestyle on offer as well as the many facilities Aero offers. - 2 Bed 1 Bath 1 Parking. - Open plan living & dining area. - Spacious main bedroom with built-in-robe and balcony access. $600 per week - APPLICATION TAKEN !! Near New Fully Furnished Apartment - Book in your Private Inspection Today ! PM Realty is proudly offering this near new executive apartment, tastefully furnished with modern European vibe. This stylish apartment is ideal for those seeking an easy-care lifestyle, situated within close proximity to a range of shops, cafes and restaurants including Sonoma Bakery, and within walking distance to buses and Mascot train station. PM Realty is proudly offering this brand new one bedroom apartment set in the heart of Alexandria. Offering a city chic lifestyle, this property is less than 2km to CBD, walking distance to Redfern station and University of Sydney, and surrounded by trendy cafes and eateries. Executive Style Terrace - APPLICATION TAKEN! PM Realty is proudly offering this stunning near new home boasting an impressively large scale with indoor/outdoor living style. Spread over three levels, it includes a host of sophisticated finishes and is only a short walk to Green Square Station, buses, schools, shops and eateries. $520 per week - APPLICATION TAKEN ! PM Realty is proudly offering this freestanding, two-bedroom home in a great location. Enjoy a private setting in a popular growing suburb with easy access to public transport, motorways, shopping centres, beaches and parklands. $750 per week - APPLICATION TAKEN!!! PM Realty is proudly offering this near new, light-filled 3 bedroom apartment in the heart of Botany. Located in the Park Top complex, this apartment is within walking distance to public transport and only moments to the CBD, Sydney Airport, Eastgardens shopping centre, schools and universities, restaurants and beaches. $440 per week - APPLICATION TAKEN AFTER 1ST OPEN! PM Realty is proudly offering this contemporary one-bedroom apartment with spacious open plan living and designer finishes. Peacefully located at the rear of the building, this highly sought after residential location is ideally located between the Sydney and Parramatta CBDs with easy access to public transport and some of Sydney’s best schools, shopping, restaurants and recreational opportunities. OPEN HOME CANCELLED - APPLICATION TAKEN! PM Realty is proudly offering this perfectly presented 4 bedroom family home located only a stone's throw from local schools, transport and shopping facilities. DEPOSIT TAKEN AFTER FIRST INSPECTION !! This near new top floor apartment privately positioned on the top floor of a boutique block, this bright and breezy apartment has been prepared for immediate enjoyment. $450 per week inc. bills - APPLICATION TAKEN! PM Realty is proudly offering this well maintained throughout, neat and tidy, granny flat in a quiet location and minutes to Eastlakes shops and city transport.